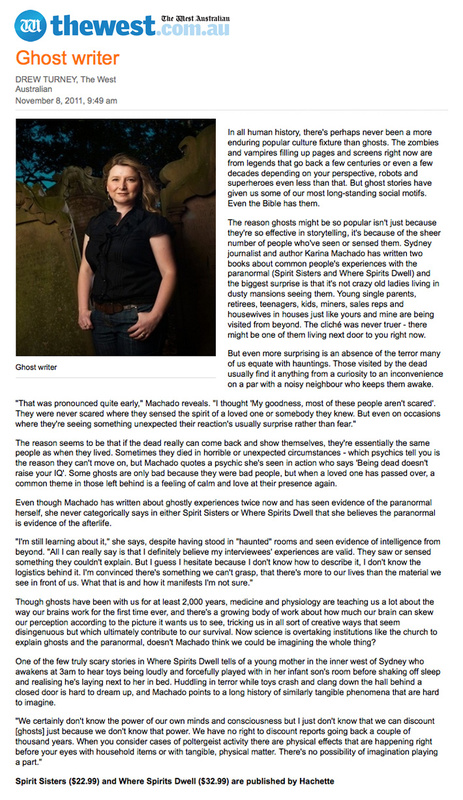 Living Ghosts –Do you Believe? 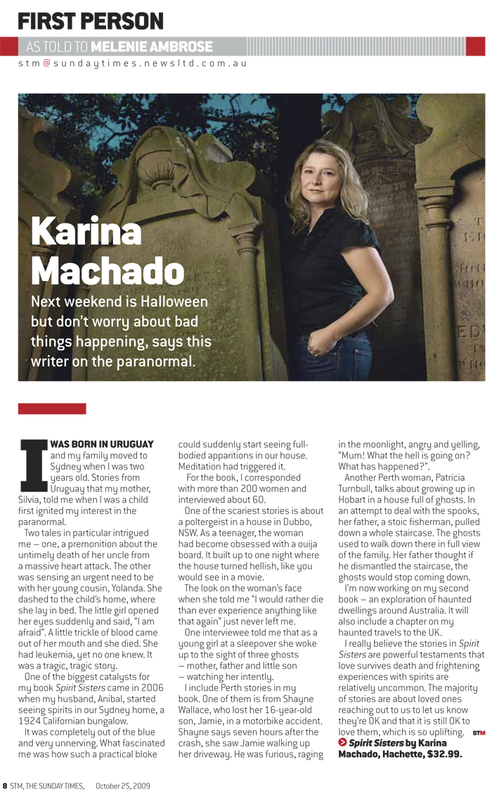 An article in The West Australian featuring Karina and her books. Karina Machado talks to Melenie Ambrose from STM. 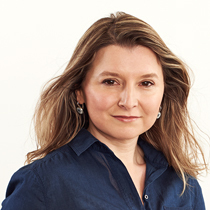 Two articles from Nine To Five magazine featuring Karina Machado. 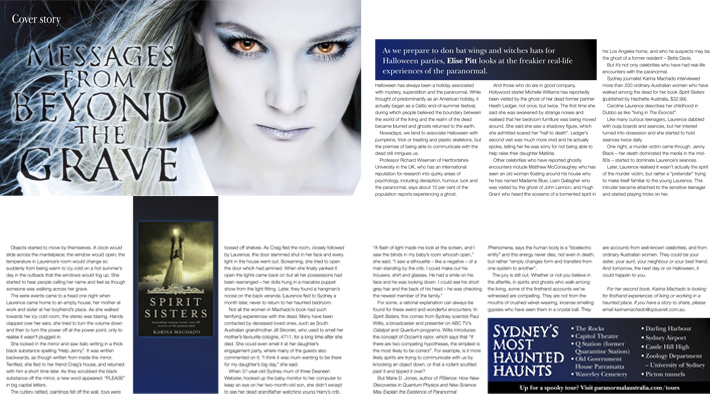 An article in Nova featuring Karina and her book Spirit Sisters. 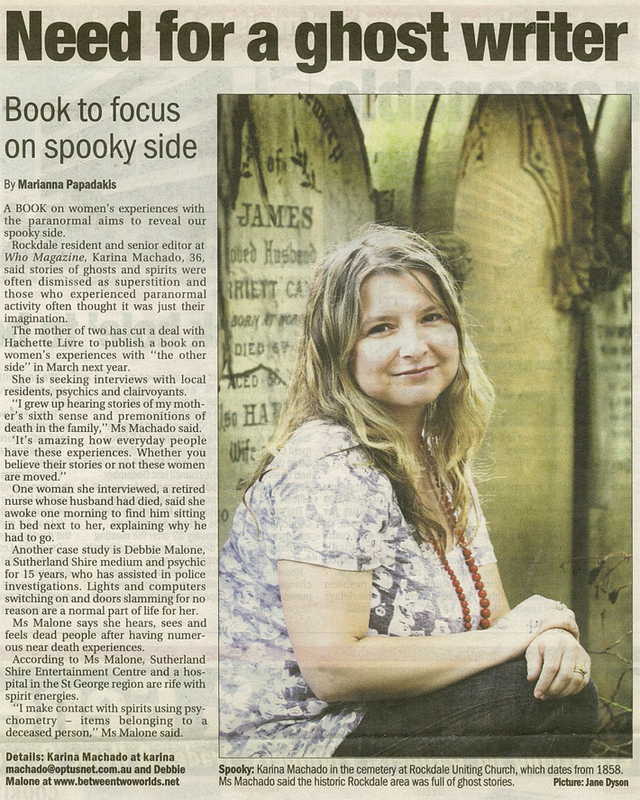 Karina seeks interviews with local residents, psychics and clairvoyants for her first book in an article published in the St George and Sutherland Shire Leader in 2008.